Abandoned mines and deserted islands, Zodiac boat rides and foraged meals ... all this awaits you in Newfoundland. Join us for a week full of adventure, storytelling, and windswept landscapes. We'll visit three of Newfoundland's most unique and historic locations: its capital of St. John's, the port town of Harbour Grace—one of the oldest towns in North America—and Bell Island, a place brimming with natural beauty, local legends, and lore. You'll head home with a sense of the tenacious, charming, and improbable nature of Newfoundland itself. This trip is limited to a small group of 12 curious and intrepid explorers. Abandoned history: From World War II barracks, batteries, and mounted artillery crumbling into the cliffs, to rusting behemoths of bygone industries, you'll be walking through the corridors of history—colorfully adorned in ever-evolving graffiti. 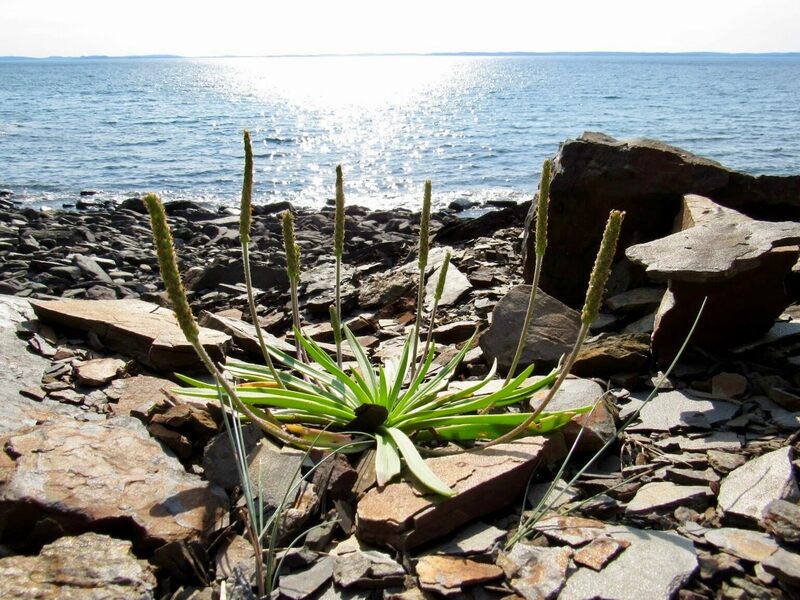 Plant folklore, foraging, and fresh cuisine: During our week together, we'll take a cheesemaking workshop, cook over beach fires, and enjoy fresh-caught seafood prepared by a gourmet chef. Boat rides and hidden beaches: While on Bell Island, we'll climb down to secluded beaches and set out in small crews on Zodiac boats to the nearby Kelly's and Little Bell Islands, once pirate hideouts and now nesting grounds for rare seabirds. 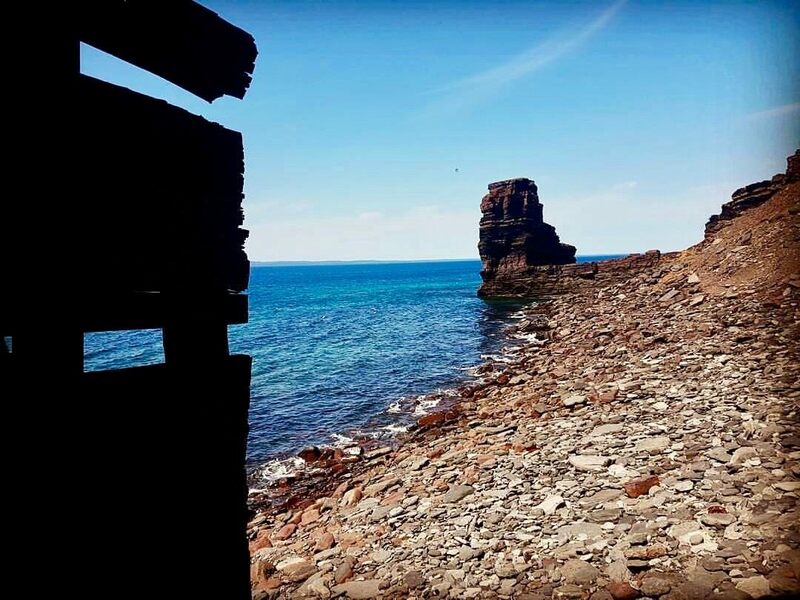 Local lore and legend: Bell Island is known as "Canada's X-File Island," and you'll hear age-old tales of priests and pirates as well as local stories of hags, shape-shifters, and spirits. Equipped with top-of-the-line Coast headlamps, we'll head out on some dusk and after-dark explorations. Felicity Roberts is a rural Newfoundlander, certified herbalist, farmer, writer, wild food advocate, and self-described relic. Most comfortable on the barrens cutting heather to dye wool or hanging off the edge of a cliff harvesting rare berries, she specializes in both culinary and medicinal applications of local flora and the folklore surrounding them. While living and working in the city, Felicity has made it her goal to explore every rural museum, abandoned site, and cool rock formation she can find around her home peninsula, the Avalon, and she occasionally writes about travel. A $500 deposit is required to secure your spot, as we have a limited capacity, and we expect the trip to fill up quickly. This deposit is nonrefundable after three days. The trip will cost a total of $3,350—the $500 deposit plus the $2,850 final payment—and will cover all fixed costs, including all accommodations, meals, and activities listed in the itinerary below. Please email us at trips@atlasobscura.com or call us at (646) 961-4857 with any questions about the itinerary, logistics, or payment. You'll arrive into Newfoundland's capital, St. John's, and settle into our downtown hotel. 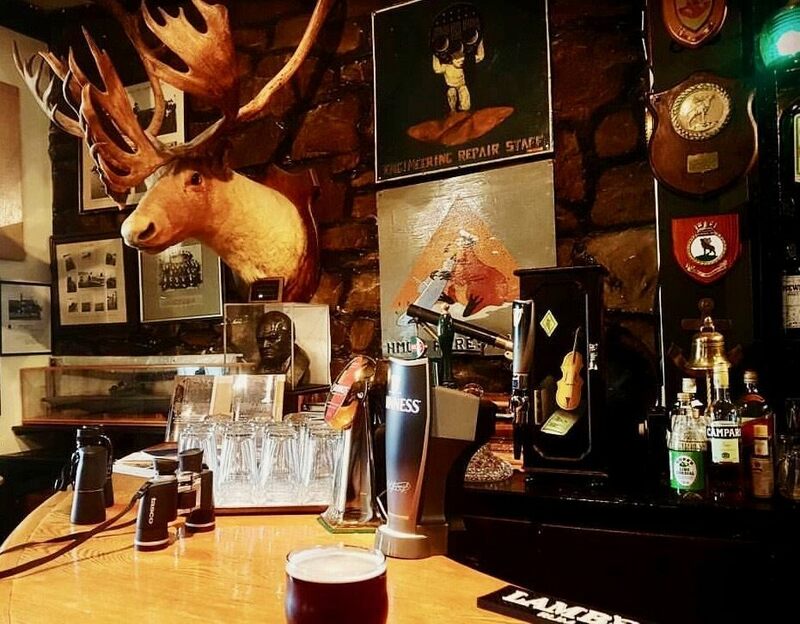 This evening, we'll enjoy a welcome pint at the local Officers' Club and then head out for a walking tour of the historic Yellowbelly Brewery. After the tour, we'll have our first dinner together, accompanied by the brewery's excellent ales, and orient you for the week to come. We'll start the day with a relaxed breakfast catered by a local bakery. We'll then set off to explore the most interesting parts of the city, passing first through the more gentrified east end of the old downtown and then into the west end, with its working docks and niche museums. We'll visit the (now defunct) Newfoundland Railway and Apothecary Hall, a pharmacy museum full of mortars and pestles, pill-making machines, and something reputed to cure most any illness. For lunch, we'll be treated to a picnic in the local park and then continue to the resettled southside area of the capital. On our way to the World War II battery at Fort Amherst, we'll learn about the gravesite of Shawnadithit, the last of the Beothuks, and catch sight of the boarded-up entrances to the network of tunnels burrowed underneath the hills. Fort Amherst has withstood the ravages of multiple centuries, buffeting the English from the French 250 years ago and acting as a battery and barracks during World War II. A steep and stunning 20-minute hike up the East Coast Trail will take us to a jaw-dropping viewpoint over the city. There will be a chance to learn about wild edibles in the tundra-in-bloom landscape, as well as potential for moose sighting and iceberg viewing. For dinner, we'll be digging into what is arguably Newfoundland's national dish: deep-fried fish-and-chips, or "fi' and chi.'" After dinner, explore on your own or head in for an early night's rest. Activities and local music recommendations will be provided. We'll kick off the day with breakfast at a local bakery, which happens to be next door to the largest retailer of accordions in Canada. Up next is a cheesemaking workshop at Cod Sounds School of Cookery, dedicated to preserving the cultural food of Newfoundland and Labrador. Included in the cheese and charcuterie samples will be a special goat's milk Romano aged one year—timed specifically for our visit. Afterward, it's off to Harbour Grace, a once-great Conception Bay town founded in 1517 by Francis I of France. Amelia Earhart took off from the Harbour Grace airstrip on the flight that would make her the first woman to fly solo across the Atlantic. 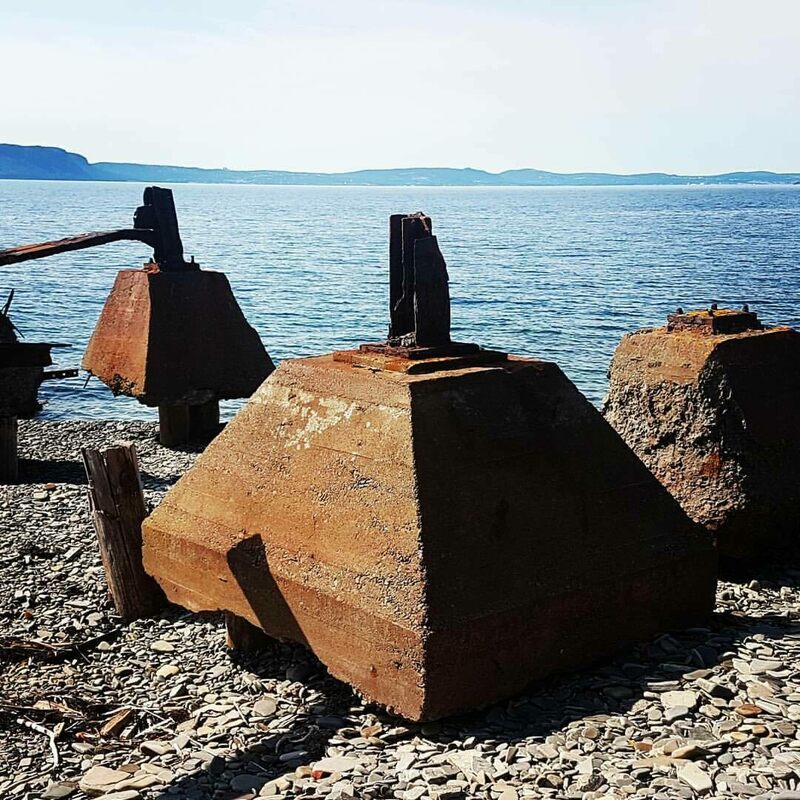 Crumbling manors, a working dock, stone churches, and a stately ship rusting in the harbor are among the key highlights of the town. We'll tour the downtown and waterfront, where a working dock showcases Newfoundland's seafaring culture. A brief stop at the small local museum will clue us in on Peter Easton, legendary pirate and early inhabitant of the area. We'll also drop by Shades of the Past, a museum and reconstruction that offers multiple recreations of life in the area before resettlement. This evening, we'll be treated to live music by traditional musicians while enjoying local barbecue. Our lodgings are just a brief, oceanside walk away—right on the beach, with a deck and outdoor seating area for moonlight lounging. This morning after breakfast, we'll set out by ferry for Bell Island. Upon arrival, we'll stop by a classic fifties-style diner for lunch, before an afternoon tour of the Mine Museum followed by time to wander and explore. Slipping back in time to an earlier, grander Bell, we'll enjoy a three-course meal at the Grand Wabana Inn. Local history holds that the building was once a convent before its conversion to visitor lodging. This will be a once-in-a-lifetime night. We'll enjoy local music and storytelling with traditional dance lessons, then head to a nearby private home for a beloved but increasingly rare form of early entertainment. In the mists of Newfoundland legend are the "Chronicles of Uncle Mose," also known as the "Yarns From Pigeon Inlet." Kelly Russell—son of Ted Russell, the creator of these tales—is a celebrated folk musician who lives on Bell Island. He will be joining us this evening with his own "Yarns From Pigeon Inlet." Breakfast this morning will be followed by time to relax, rest, or wander. 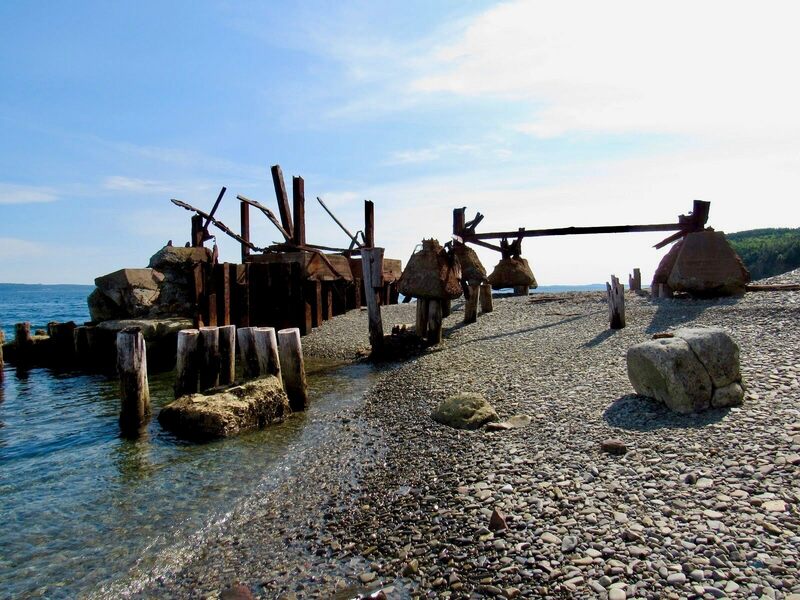 After a visit to the Scotia Pier industrial dock ruins, we’ll ease into a picnic lunch on the beach as we explore rusty behemoths slowly being eroded by ocean, meadowland, and time. On our way to Lance Cove after lunch, we’ll check out the Sacred Heart grotto, depicting the 12 Stations of the Cross. 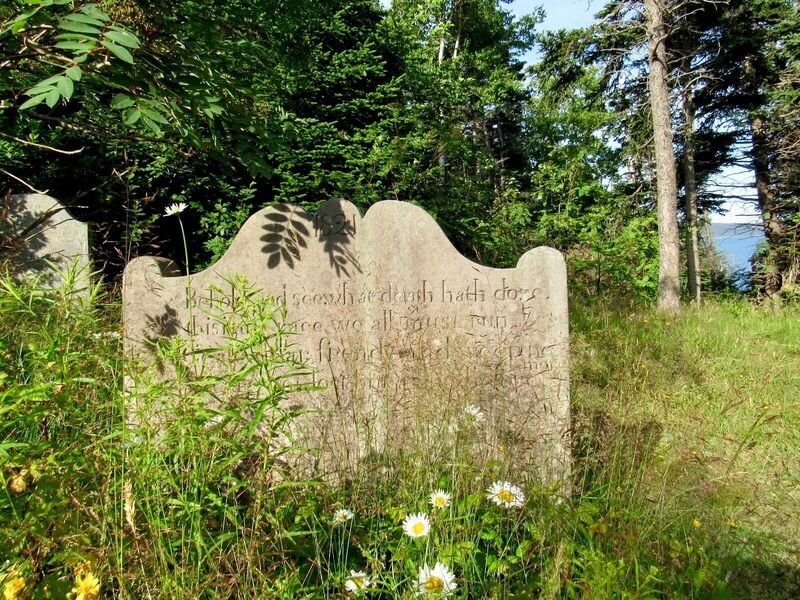 We'll also pass an abandoned church and an eerie, well-preserved 200-year-old graveyard overlooking the sea. Another delicious dinner at the Inn will be followed by a free night to relax, hang out, or poke around the local haunts. We'll check to see what our friends in town are up to. After breakfast, we'll wander to Freshwater Beach. On our rocky descent to the beach, we'll pass dramatic rock formations, a tall, slender sea stack, and a tunnel carved out of the stone by fishermen past. The purple-black sand and "hanging gardens" of wild vegetation spilling over the layered cliffs will serve as the backdrop for our lunch cooked over an open beach fire. This afternoon, we'll explore the ghosts of the island's past. 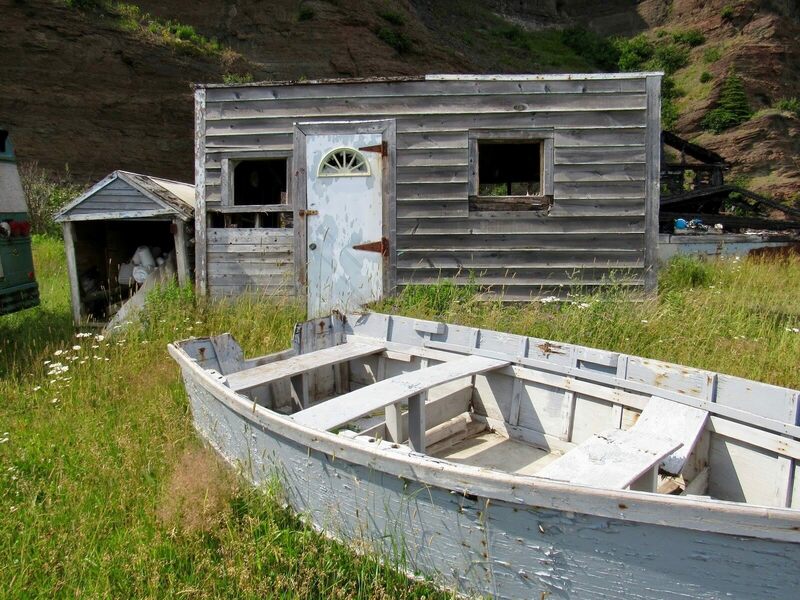 Bell Island, its coasts littered with shipwrecks and superstitions, is naturally steeped in myths. We’ll visit Dobbins Gardens, Butler's Marsh, and other supernatural sights, and explore the folklore surrounding them. We'll relax over dinner at the Inn followed by a haunted hike right before sunset. After breakfast at the Inn, we'll split into two smaller groups for one of the most exciting parts of our Newfoundland adventure. The first group will set out by boat for Lance Cove, while the second will be led on a foraging and wildlife tour. After lunch, the two groups will switch places so you'll have a chance to do both activities. The first group, accompanied by Rod Bickford, a seasoned veteran of these waters, will hop into a Zodiac boat. Feel the ocean spray on your face as we tour the geologically stunning coastlines and caves with brief touchdowns at two smaller islands, Kelly’s and Little Bell. Kelly's Island has been the hideout of a number of pirates, including the well-known Peter Easton. Once farmed, now empty, Little Bell holds its own secrets. The chance to see the rare seabird nesting grounds housed on shoals around these little-known islands is a unique opportunity. A picnic lunch will be provided, and jigging for cod for our supper will provide an experience steeped in hundreds of years of Newfoundland culture. This boat tour is customized specially for our group, and we'll be seeing sites and visiting beaches that most people, even many locals, never explore. The second group will go foraging in a spectacular meadow and boreal forest to gather the greens and flowers for our picnic lunch onsite, which includes honey from hives we'll get to see and learn about up close. Then it will be time to zoom off in the Zodiac! This evening's farewell dinner will be a very special one. Ingredients caught and gathered during the day will go into creating a "7 Mile Dinner." We'll have a chance to reflect on our time on Bell Island and the many things that make it so unique. This morning, we'll return to St. John's and say our farewells. Depending on your plans, you will depart for the airport or extend your stay in Newfoundland. We're more than happy to provide additional recommendations. All breakfasts, lunches, and dinners during the trip. A talented local guide in addition to an Atlas Obscura representative. 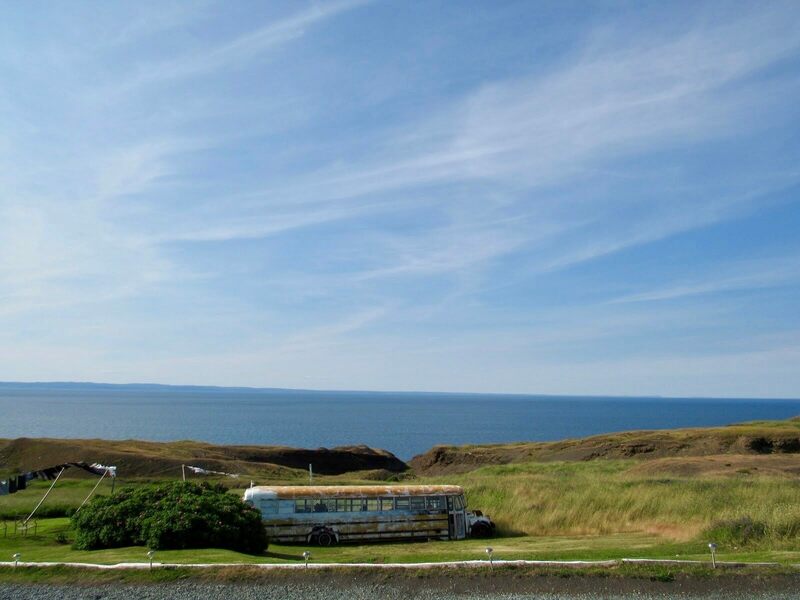 All transport throughout the trip, including travel to, from, and around Bell Island. Admission to all proposed activities, including workshops and tours. A great group of fellow Atlas Obscura fans, excited to explore all that Newfoundland has to offer! For flights in and out of St. John's International Airport (YYT), you should plan to arrive by 4 p.m. on Monday, July 16, and depart anytime after 12 p.m. on Monday, July 23. Note that flight times are limited; if you'd like to arrive a day early or extend your stay, we're happy to reserve extra nights at our hotel in St. John's or provide other recommendations. For those interested in a driving adventure, there is a vehicle and passenger ferry that makes stops in Nova Scotia and Newfoundland. Itineraries and pricing are subject to change. This particular tour has been designed with specific activities and events in mind, whose schedules and availabilities may change in coming months or be affected by weather during the trip. If any activity or attraction that is advertised is missed or not available, then we will always replace it with another activity or location of significant interest and value. We do expect to have the chance to see everything on this itinerary, if perhaps not in the same order. However, as always, flexibility and an adventurous spirit are key. This tour is fairly active. Travelers should be reasonably fit and feel comfortable walking three to six miles each day and remaining outside and on their feet for long periods of time. We will be walking on roads, beaches, and dirt paths. The itinerary involves two ferry rides and at least one boat trip, so we recommend you be comfortable around and on water. There will also be the opportunity to bicycle, for those interested. You will be charged a $500 deposit to hold your space. This deposit is nonrefundable after three days. The final payment of $2,850 will be due by April 16, 2018. Note that you also have the option of paying for the trip in two installments, the first due by March 19, 2018. All reservations will be final after this date and subject to our cancellation policy. By submitting your deposit, you agree to the trip's Terms & Conditions. For travelers wishing to have single accommodations during the trip, an additional $620 will be included in the final payment. Flights and other transport to and from St. John's, Newfoundland. Additional meals and drinks outside of Atlas Obscura offerings, including all alcoholic beverages. Applying for a Canadian visa (if applicable, not required for U.S. citizens). Please email us at trips@atlasobscura.com or call us at (646) 961-4857 with any questions about the itinerary, logistics, and payment. Interested in a private Atlas Obscura trip? Enter your email and we'll be in touch. Join our Trips mailing list and be the first to learn of new itineraries. as soon as we post them.